Ok so there it is..my attempt at baby shower cookies. I didn't do this in years, but it turned out ok. I kinda forgot which consistency works better for the outline, and fill.. hence the little frosting drip on the footprint in the back. I have to sharpen my skills! But I'm still proud of myself. I'll keep you posted on my practice runs! "Hopefully practice makes perfect!" I'm getting back in touch with my inner baker this weekend. Did you know baking is one of the many things I enjoy doing? Probably not, I haven't done it in a minute! But I going back in this weekend. I'll be baking up some sugar cookies..wish me luck! Chocolate covered pretzels will be in the mix as well. I'll report back next week with the outcome. Cross your fingers that they turn out OK! 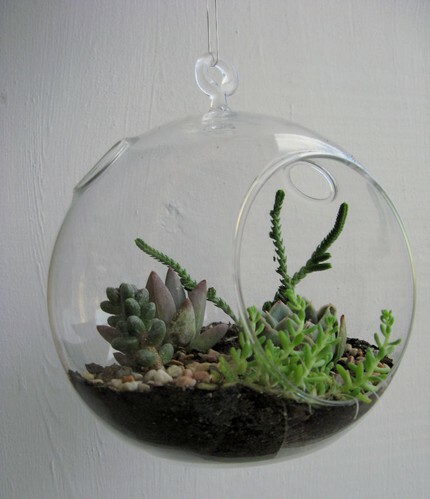 I'm not sure if most are into terrariums.. but I am! And hopefully the guests at the shower that I'm working on are as well. ;-) They come in all shapes and sizes, and can be a bit organic and earthy looking, but I plan on softening up the look with a touch of baby. I hope this works out. 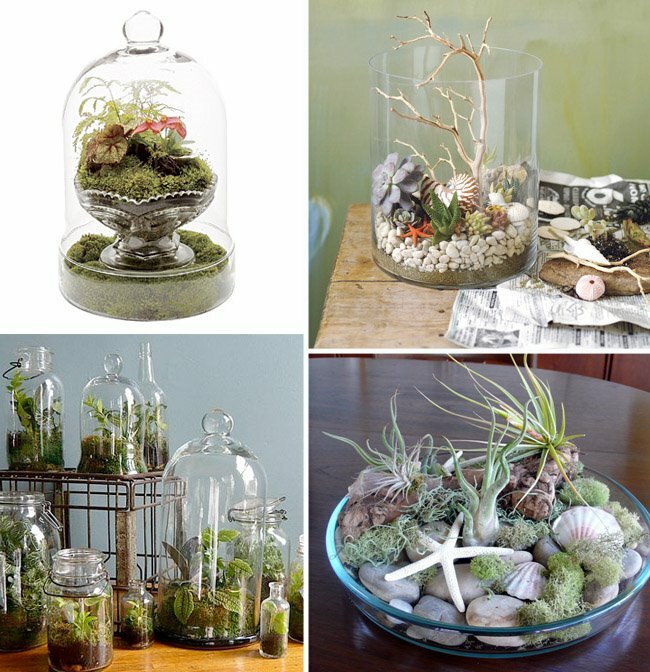 So, here are some inspiration for centerpieces. Who knew BBQ can be so chic! 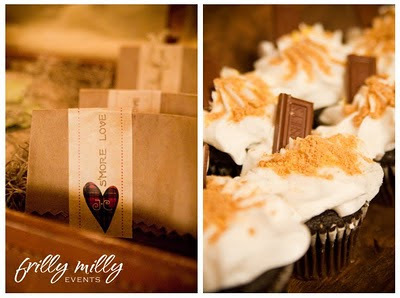 After seeing this this crazy cute buffet posted by Christi from P is for Party, I had to run over to Frilly Milly to see what this is all about. 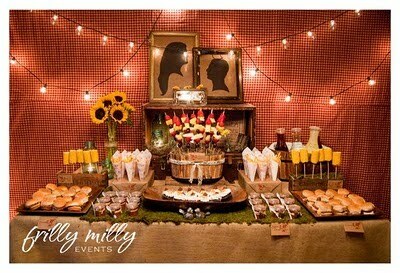 Check it out this BBQ Buffet designed by Trish of Frilly Milly Events for a couples shower. Simply Stunning! 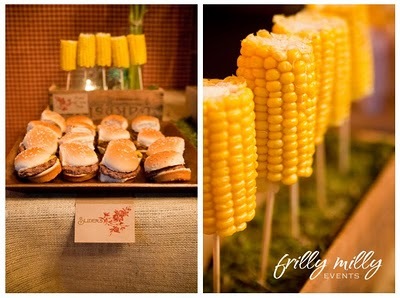 Corn on a cob skewers?....C'mon now.... See for yourself! You guys should know that I'm a fan of Mikasa, right? Did you get a chance to look at the last Mikasa video I shared about using the Cheers collection in various ways? I love the ideas they shared in that one. Well, I have another video to share with you! Do you use your china? No? 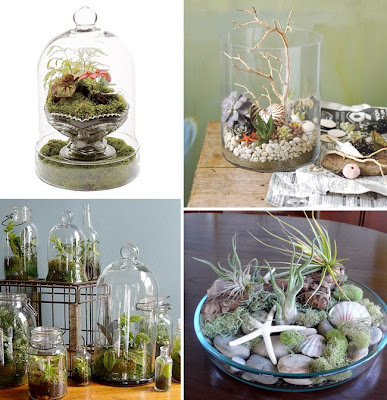 go ahead and take them out of the china cabinet and mix it up! Check it out here, and learn how to personalize and spice up your place settings by mixing and matching patterns! Love the looks of these! 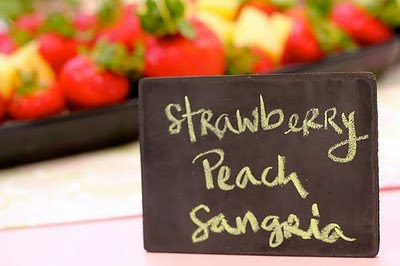 I'm thinking of using chalkboards for a babyshower this weekend. But not sure yet. I would need to create my own without spending a lot. ;-) I've used black cardstock in the past, maybe I'll go that route again. 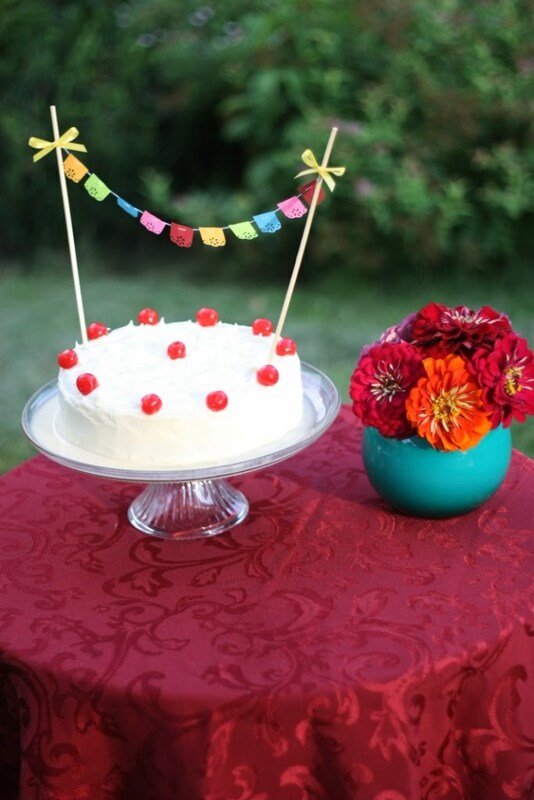 My Jubilee made Catch My Party's party of the day feature! Go ahead and catch my Chocolate and Cherries Jubilee over at Catch my Party! There are some pretty amazing parties featured, so get your party fix! 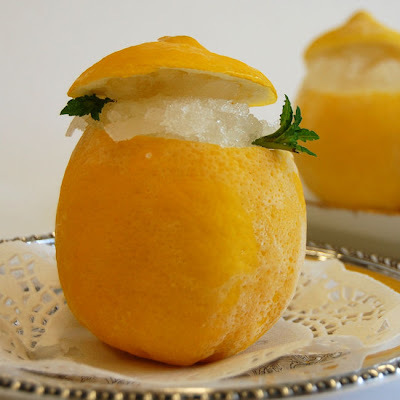 I love the idea of serving desert or fruit in a hollowed out fruit bowl. It looks very simple to create. 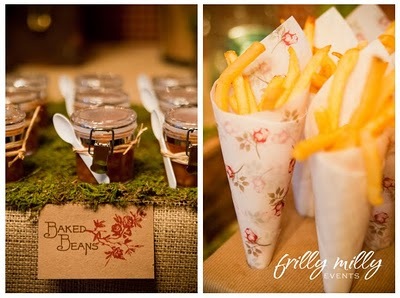 It's a must try for one of my events! 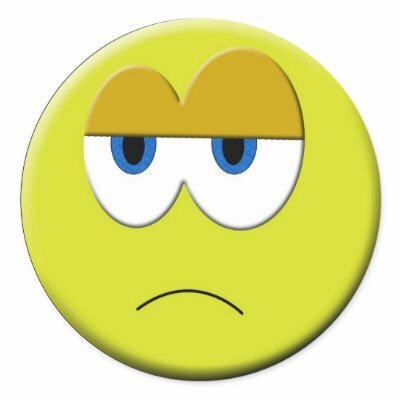 Ok.. so why did one of my blogger gadgets just disappear into thin air? I'm wondering what the hell happened? Did this ever happen to anyone else? Maybe I'll wait to see if it appears again. 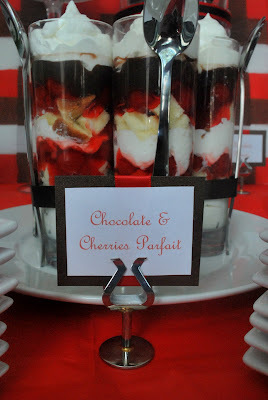 Did you know I used streamers for the chocolate & cherries buffet? If you went to the celebrations blog last week, you do. :-) If you didn't don't worry about it, I'll give you the same instructions so you can create your own! Materials Streamers, Scissors, Tape, & Poster board. Measure the streamer to fit the board with a little excess to wrap the end of the streamer to the back of the board. 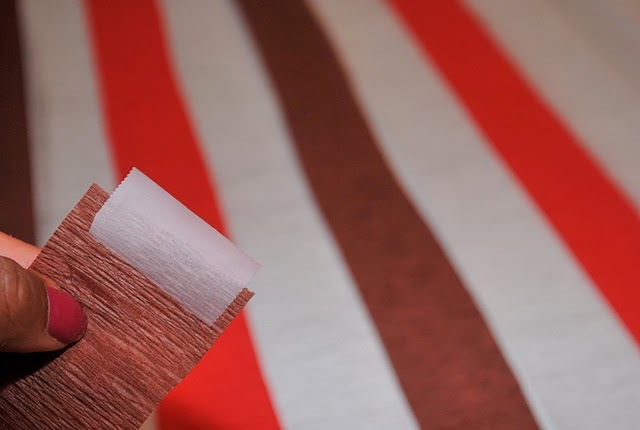 Use the tape to stick each end top and bottom to the back Alternate colors creating vertical stripes. 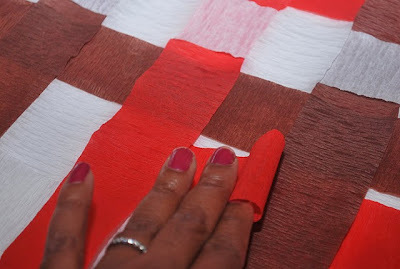 Don’t pull streamer too tight, you’ll need some room to create the weave effect. 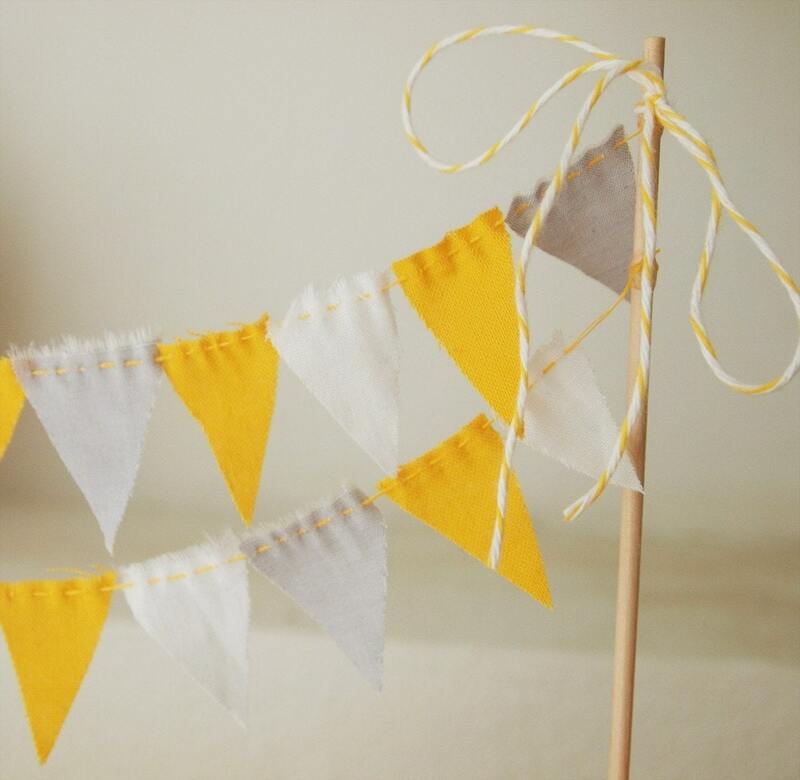 After you’ve covered the board with stripes, start weaving the streamers in a horizontal pattern. 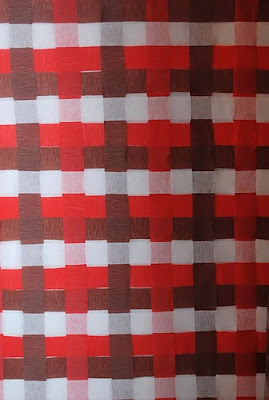 Remember your pattern combination used for each color and repeat it until you cover the board. 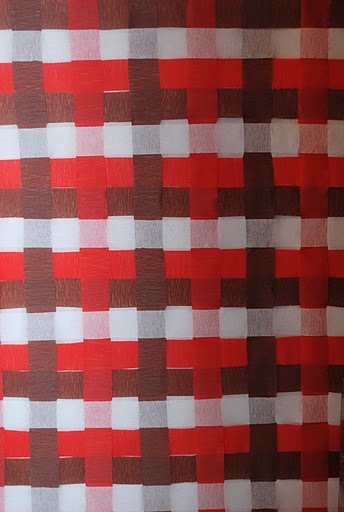 If you don’t wish to do the weaving, you can stick with the stripes! They look just as nice. 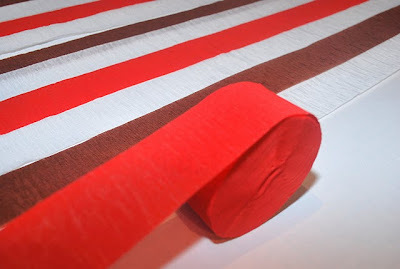 In fact I am using stripes for a shower at the end of this month. Here’s the completed backdrop! 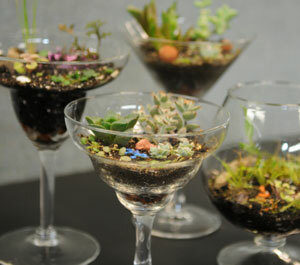 I hope you’ll try it for your next desert buffet table! Did you host or style wedding or celebration with pretty details and would like to share it? 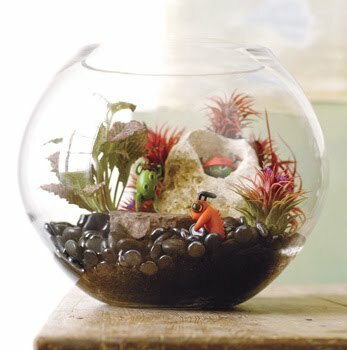 Do you have a DIY project that will inspire others? 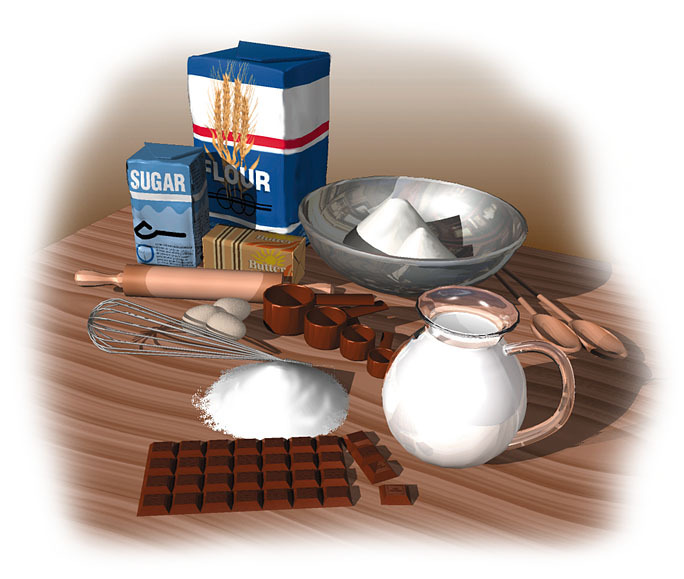 Make any great party foods or beverages worthy of passing on the recipes? Contact me with your eye candy and delectable details!! Please send over 10-15 photos with a brief description of the event to theflairfactor@gmail.com. I can't wait to hear from you! Welcome to Fête Fanatic! 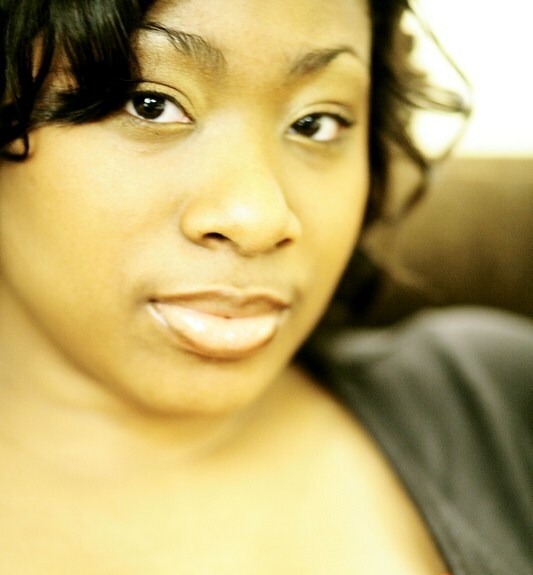 I’m Natasha the writer behind the blog and owner of The Flair Factor, a boutique event design and styling company. Fête Fanatic is dedicated to celebrations of life including weddings, birthdays, cocktail parties, bridal and baby showers, home entertaining, or just hanging with family and great friends. 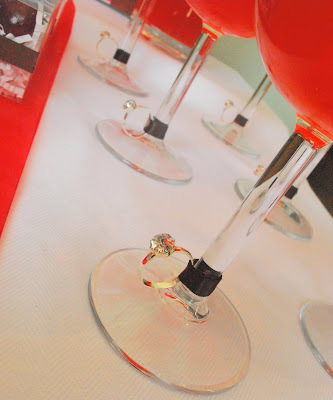 I’m very much inspired by creative details that add that extra Flair to your celebration. If it’s pretty, tasty, fun and festive you’ll find it here! I love DIY projects, so if you have one to share, don’t hesitate to contact me. I’ll be happy to share it! I hope Fête Fanatic inspires you to create fabulous events and celebrate everyday life! Summertime is cherry season! Get'em while they're sweet! If not, cover them in chocolate! Here's an intimate bridal shower desert table I created featuring chocolate and the delicious summer fruit, cherries. Cherries are definitely at their sweetest in the summertime. So here's a little sweet chocolate and cherry treat for you. 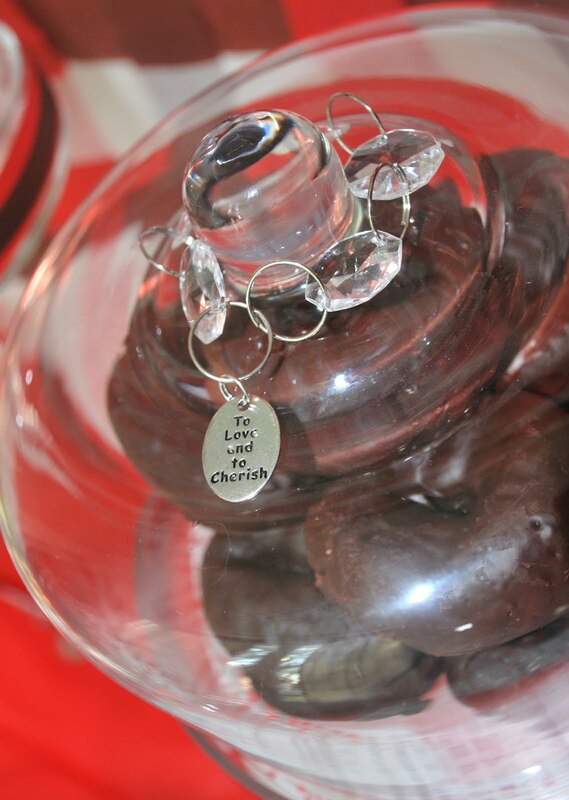 Buffet included chocolate covered cherries, mini chocolate donuts, chocolate & cherries parfaits, chocolate macarons, and fresh cherries! What's a bridal shower without some bling..? Even the pedestal stands were outfitted with bling. Chocolate & Cherry Tall Cakes! Cherry Lemonade, a bit of tart to balance the sweet. Have some cherries to go! Did you hear about the Beau-Coup Giveaway? 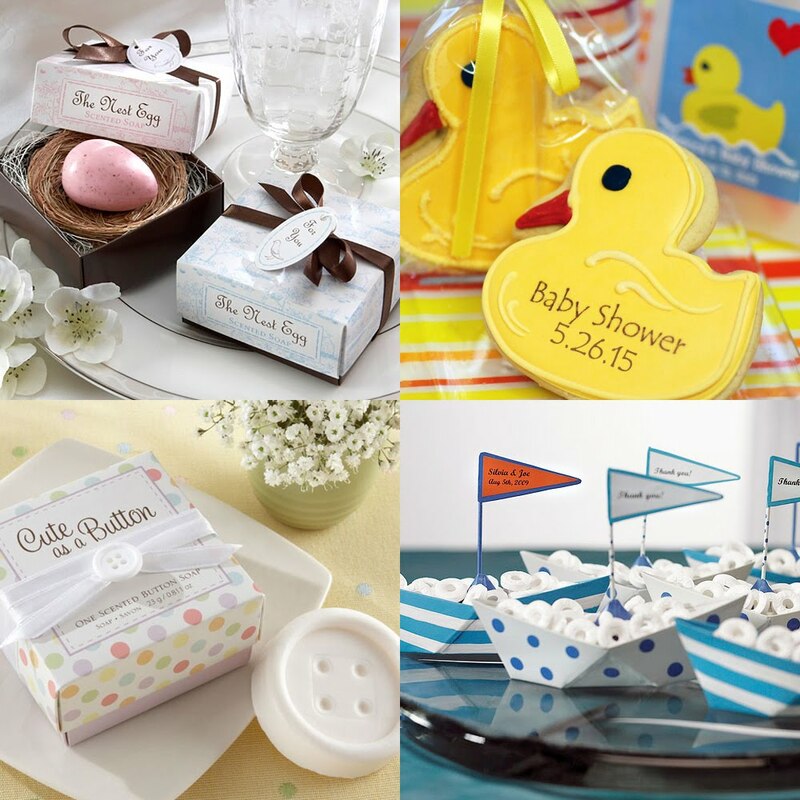 You do know Beau-coupe has some pretty amazing wedding,shower, and special event favors, right? They are giving away $100 gift card! Well get on over to Celebrations blog to learn more about it. The giveaway ends 8/16, so don't forget to enter! How many of you call your son your lil' man? 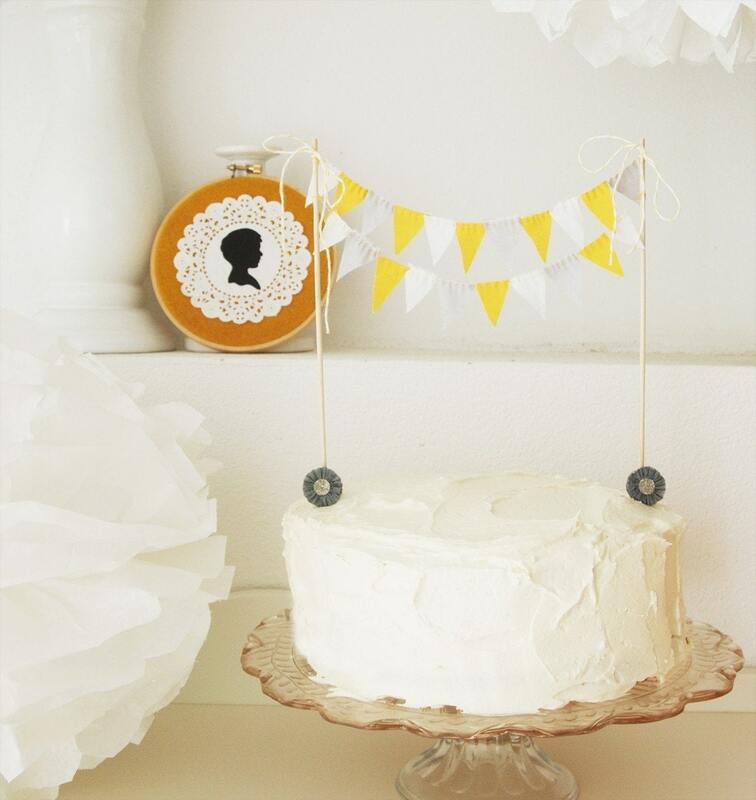 This party theme is perfect for your lil man celebrating a birthday isn't it? 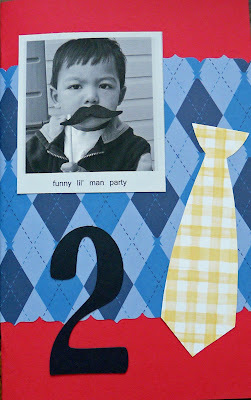 I found a party with all the details you'll need on blissbloomblog How cute is this invitation? Check out the tie lanterns..
Don't forget to have your lil' man dress the part in one of these tie tees by TinyBitMore and worn by Kristi of P is for Party's little one! Mustache sticks are a must for cooky pictures. 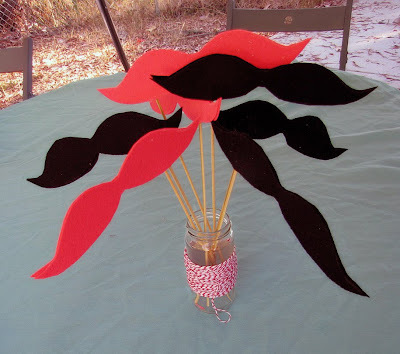 Head over to The City Cradle for DIY instructions on how to make mustache sticks.